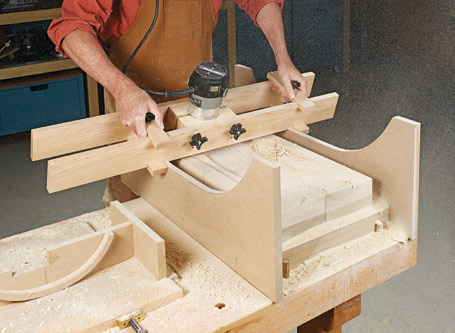 You can make a variety of beautiful, wooden bowls from the scraps you have laying around using our router carving jig. 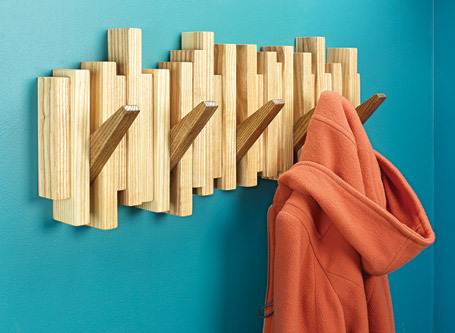 Sporting a mid-century vibe, this coat rack is one part wall art, one part handy place to park your jacket, or hat. 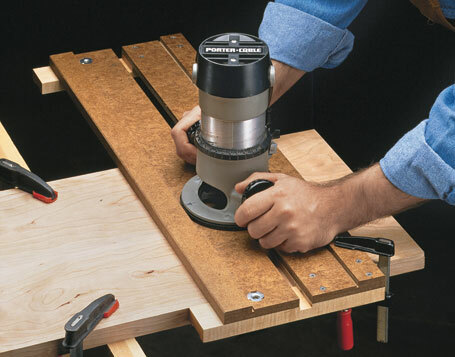 Designed with common materials, this portable work surface holds up under heavy loads. 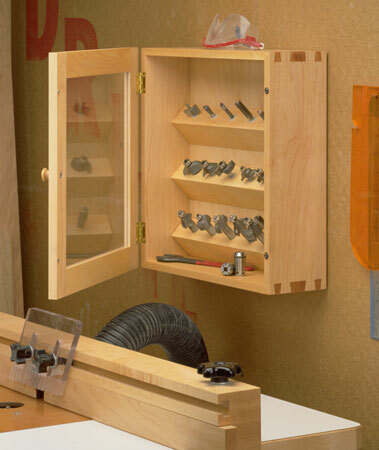 Dovetail keys at the corners reinforce the joints to make a stronger cabinet. Plus, a clear plastic door panel lets you see what’s inside. 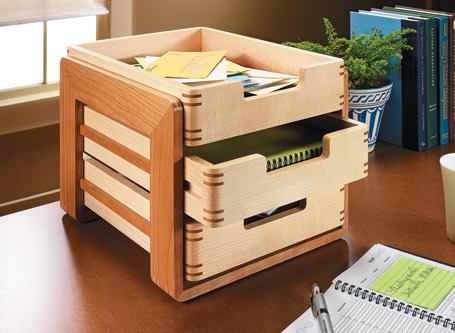 Identical trays make this stylish desk organizer go together quickly. 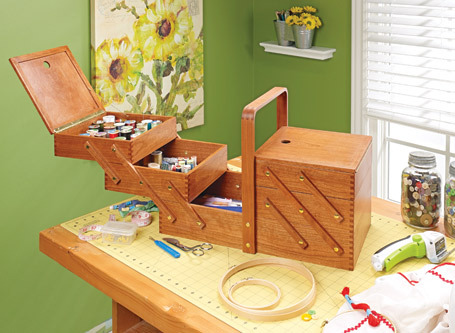 But the joinery lets you show off your woodworking skills. 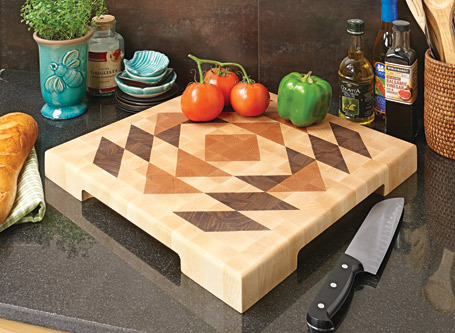 With multiple design options, this cutting board has universal appeal. 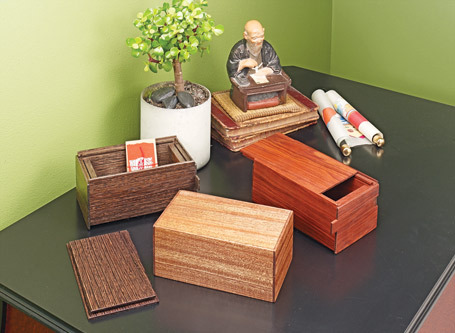 Choose from one of our four designs or create your own. 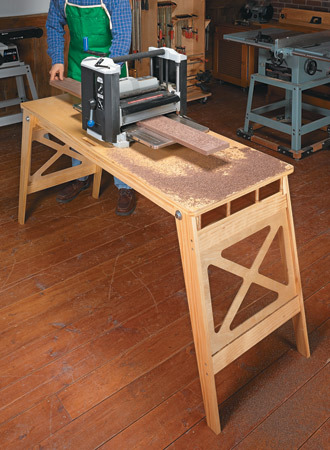 Shop space is always at a premium. 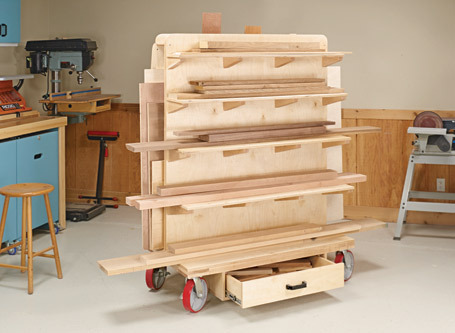 But this versatile cart earns its place by providing storage and serving as a project staging center. 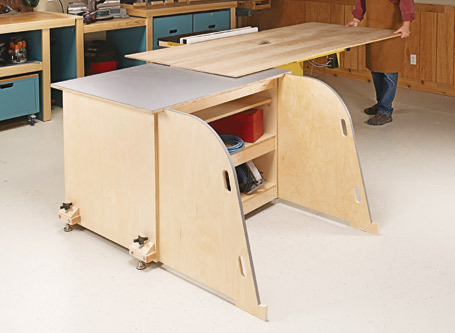 This shop upgrade has it all — a large worksurface, ample storage, and a unique sheet goods lifting system. Plus, it’s mobile. 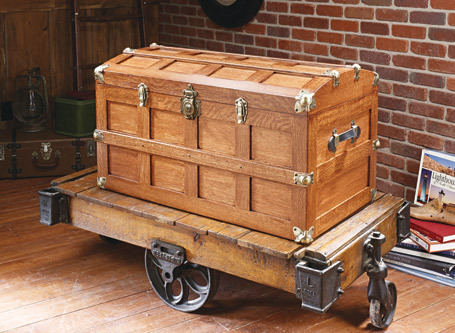 Your own ingenuity is the key to creating and opening these attractive boxes.